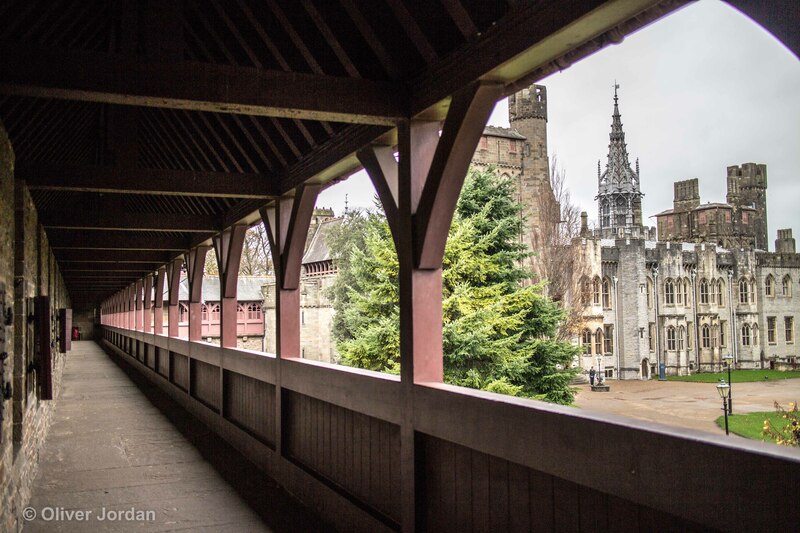 A morning at Cardiff Castle. The day started miserable and rainy as we left Bristol for a day in Cardiff, the Welsh capital. The plan was to visit the Castle, followed by a spot of Christmas shopping, but the way the weather was looking, it seemed like we would more likely be sheltering in the shops. Luckily as we crossed the bridge over the River Severn, the clouds started to clear with rays of sunlight breaking through which meant the Castle was back on the cards. After paying the entrance fee and entering the castle, we turned immediately right and headed up a small slope to the castle walls. Here you have two choices, either walk on the outside, or along the perimeter of the Castle inside the wall itself. 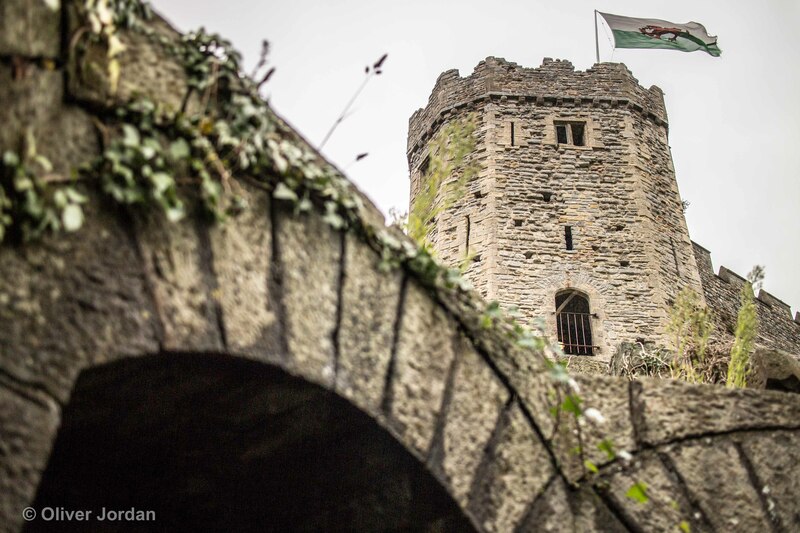 During the 2nd World War the Castle walls were used as air-raid shelters and could hold almost 2,000 people. 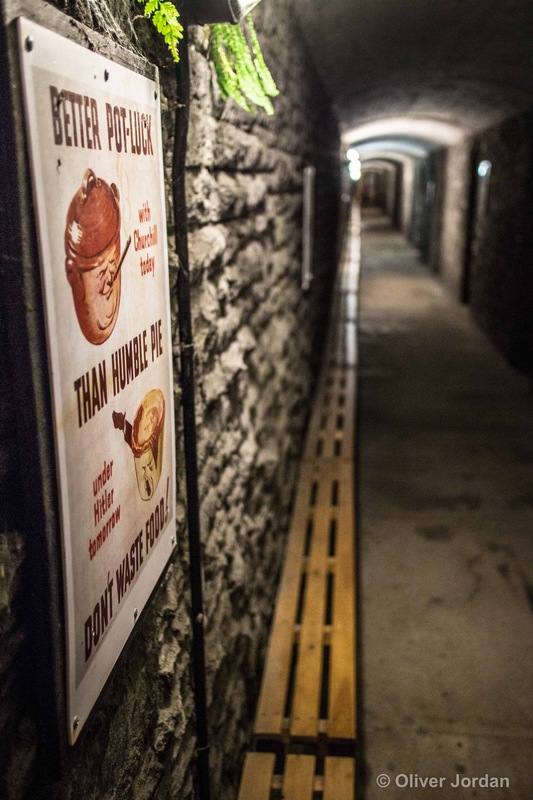 Today the walls are used as a museum to allow people to see what life would have been like during an air-raid. Benches and bunk beds lined the inside with kitchen areas in cutout sections. Various war time posters were pinned up containing information on how to stay safe and not give away secrets to the enemy. Leading out from the Castle walls points you in the direction of the keep. The Castle itself was built originally by the Romans as a fort but it has had many alterations along the way. The keep was built by the Normans, originally out of wood. It stands on a hill and is surrounded by a moat. Further medieval fortifications followed over the years. Inside the keep you can climb the stairs to the top for some spectacular views. 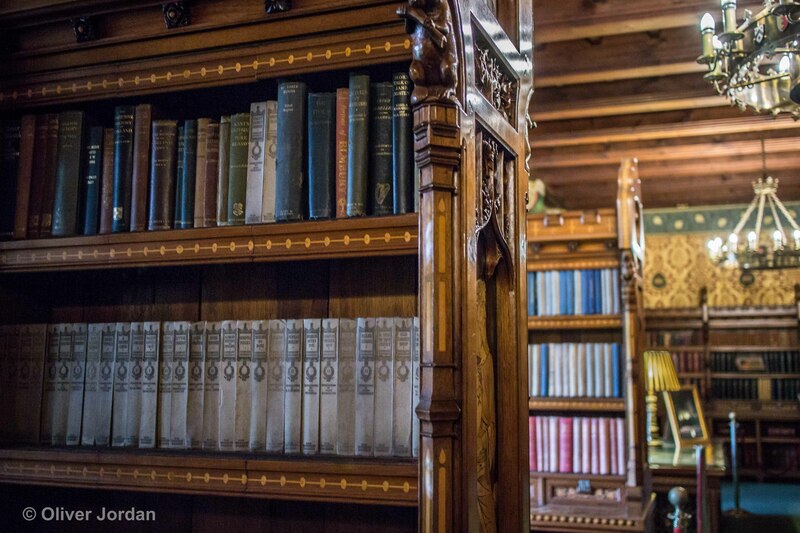 Along the way are various rooms which have served different purposes during the Castle’s past. Leading down from the keep takes you to the grass lawn. We visited on the Monday after Remembrance Sunday. 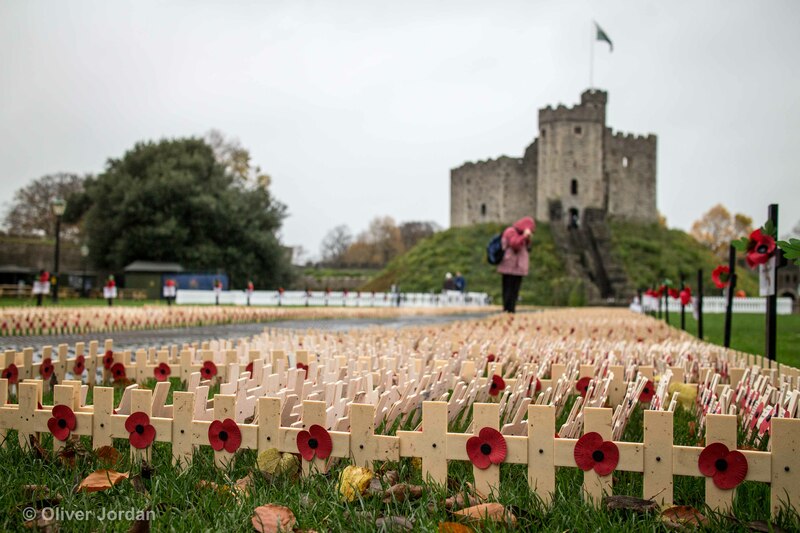 Poppies on crosses scattered the lawn and messages were left in memory for those lost in battle. The Library and Drawing Room. Next stop was to head inside the house to walk around the Castle Apartments. Each room seemed to be more lavish and extraordinarily decorated than the last, with elaborate wood carvings, murals, marble, and stained glass windows. Cards were at the entrance of each section which gave a brief description of the room and its purpose within the house. Staff were also on hand to answer any questions. A walk around the house leads you back out the same door where the route began. Finishing the visit was the spectacular clock tower which is one of the most recognisable landmarks in Cardiff. 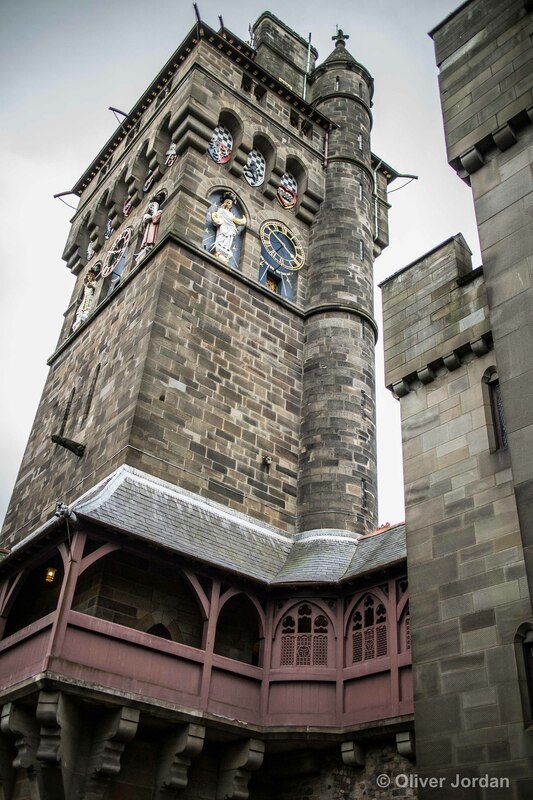 A walkway takes you up a flight of stairs on the front wall and leads to the entrance of the Clock Tower. From the walkway you can see the entire Castle grounds and it’s a perfect place to stand and reflect on the visit (or shelter from any rain). Wales is famous for spectacular castles and Cardiff Castle is no exception. There is a small gift shop and café within the grounds for refreshments and souvenirs. Overall the Castle is well worth a visit and is a nice break from shopping for a couple of hours. After shopping, the rain started to pour down again. 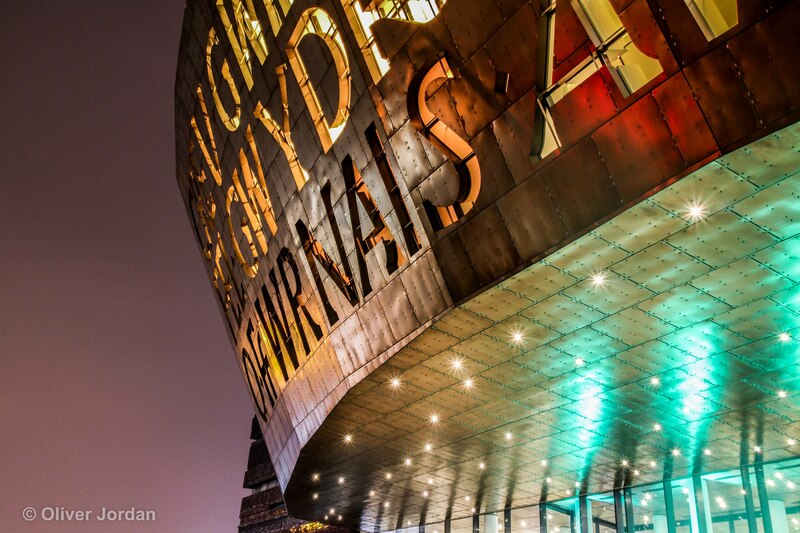 I did get the chance to get out of the car on the way home and take a very quick picture of the Millennium Centre.